1. Add audio files to the file list window. You can remove one or all files. 2. 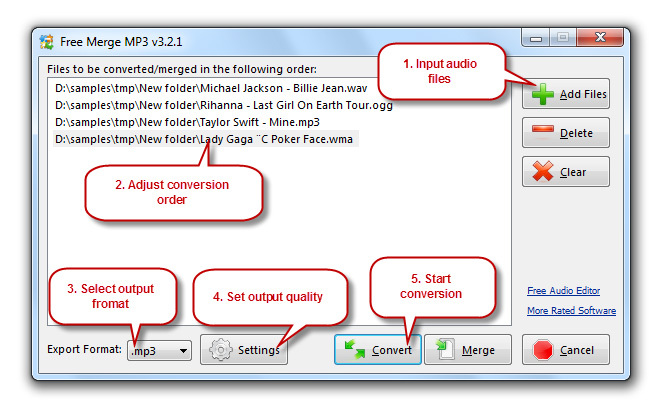 Choose an output format from MP3, WAV, WMA and OGG. 3. Adjust the output quality with the presets or specify the configuration parameters. 4. Click “Convert” button to choose an output directory and click “Save” to begin converting.